The 96-year-old Solent Sunbeam classic keelboat fleet has a busy racing and social schedule lined up for the coming sailing season, starting on Saturday 30th March 2019 an afternoon race around Chichester Harbour. 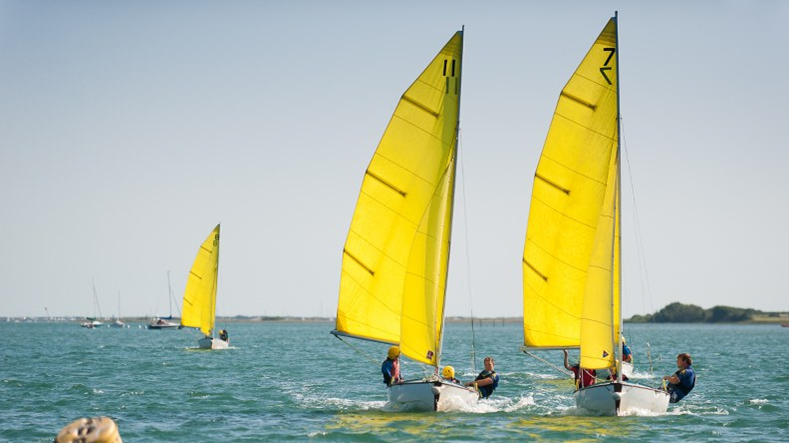 Based at Itchenor Sailor Club, the class offers competitive and sociable Thursday evening racing, specific weekend regattas and a number of week-long racing events at both Itchenor and Cowes, from April through to September. As one would expect with a class spanning 96 years, many of the current events, regattas and activities of the class have their origins in the past. The Solent Sunbeam class itself originates from Hamble River Sailing Club, where in 1922 the club Commodore, Basil Lubbock MC was asked by the members to find a new one design racing yacht. Lubbock commissioned the eminent naval architect Alfred Westmacott and the Solent Sunbeam was born. For more information on sailing and owning a Solent Sunbeam as well as information on all the forthcoming events please contact the Class Association via the website at www.solentsunbeam.co.uk.